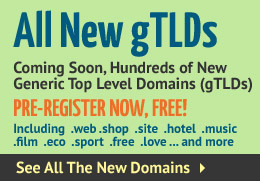 Purchase a low-cost entry-level RapidSSL SSL Certificate! 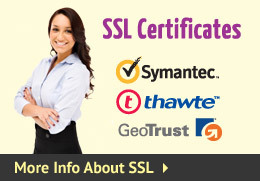 A RapidSSL SSL Certificate will meet your needs for one low annual cost. It's fast, easy to install, compatible with nearly all web browsers , and offers many of the security features of the more expensive SSL Certificates on the market. 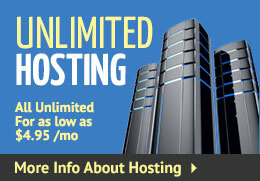 We offer yearly and multi-year pricing to meet your needs! A fast, easy value for security! RapidSSl is a low-cost solution delivering up to 256-bit SSL encryption, 24/7 web support for easy installation, incredible browser support, and backing by a leading certificate authority. Use RapidSSL to get your website up in a pinch! These include popular names such as Apache, IIS, Plesk, Exchange, ISA2004/2006, Lotus Dominos, Tomcat, Helm, DotNetPanel, and many more! What is most effective SSL certificate to combat phishing? EV SSL products. Extended Validation (EV) authentication is the highest level of authentication available with an SSL Certificate. Any Web site with an established brand reputation should consider the benefits of an SSL Certificate with EV authentication. What are the requirements for getting an EV certificate? Verification of the corporate contact's employment. Organization authentication, also known as business identity authentication, is a high assurance level of authentication. SSL Certificates with this level of authentication require verification of an organization’s existence through a government issued business credential. Usually VeriSign, Thawte or GeoTrust will get this independent verification by searching one of many government or private databases to which they have access. The certificate provider will confirm domain control by sending an email to the administrator listed with the registrar for the domain. If the authorized administrator does not reply, a second email will be sent to an email address at the domain such as info@ or support@. (You may select a secondary email address during the enrollment process.) In addition to validation by email, you will be asked to provide a telephone number where you can be reached immediately after submitting your enrollment. If everything checks out, the SSL certificate is issued. When a browser or operating system encounters an SSL certificate, it checks to make sure that the certificate is valid and trusted. An SSL certificate is trusted if it is signed by a trusted or pre-installed root certificate. If a browser that does not contain the root CA certificate used to issue the SSL certificate, a security warning will alert them.